This calculator allows you to compute e.g. 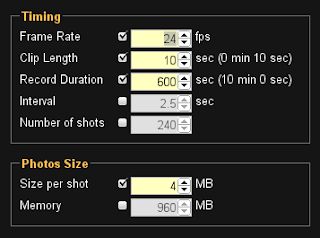 Interval based on desired Frame Rate, Clip Length and Record Duration. 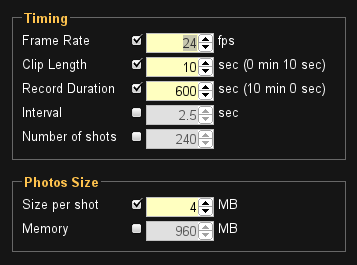 Also calculates Number of shots to be taken and used Memory (based on Size per Shot). It is pretty flexible, because you can specify any values you know and it will automatically recalculate other ("unlocked") values. If you provide too many values and they doesn't match each other, it highlights them and you have to unlock one of them. Also if you provide not enough information, it will highlight values you have to specify to get all other values ;-). Just check my Timelapse Calculator. After some thinking I've decided to use Google Picasa Web Albums for uploading and storing pictures. It has a nice desktop application for album organization and synchronization with Picasa's storage. Google offers 1 GB of storage for free; which will be enough for a while. And of course - Picasa Web Albums Data API - the interface I used to access this data. It took only one night to get it running to fetch and display images from Google Picasa Web Albums (accessed by its API). I spent more time by styling and doing some fancy stuff with jQuery (e.g. displaying slideshow of Featured photos on homepage). 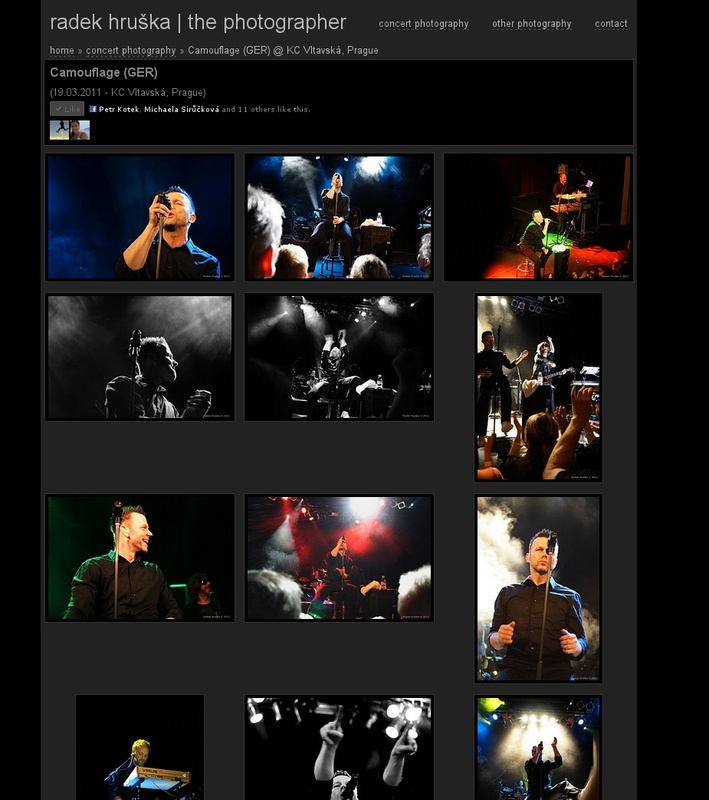 Have look on live version of Radek Hruška - The Photographer website.